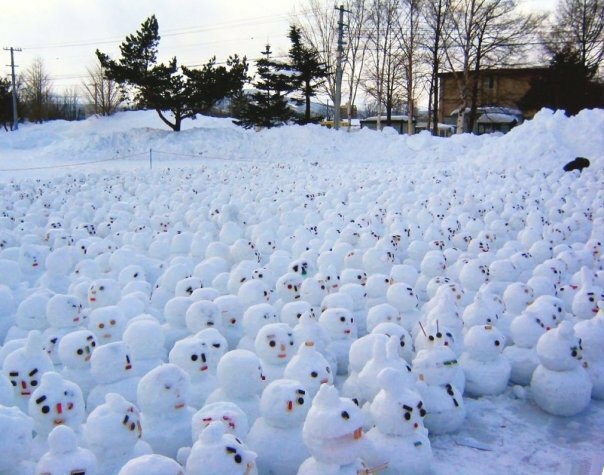 Al Gore really knows how to get a good turnout. I’m not really sure what to say about the politicians in Malawi. Is this really a serious problem in the country? Will there be a new government agency to enforce the rule? How do they identify perpetrators if there is…um…no accompanying sound? On the other hand, this is far from the most damaging thing a government can do. Isn’t it better to have government doing something trivially stupid like this rather than imposing and enforcing an income tax? Or a new entitlement? I guess that’s a question I leave to the readers. Here’s part of the news report. While no country wants its citizens to be idle, disorderly, or drunkards who cause nuisance in any public sphere, the Malawi is reportedly set to make a set of behaviours punishable by law. The Bingu wa Mutharika led administration is to introduce a raft of legislation that seeks to criminalize an everyday natural occurrence of “passing gas” with the intention to “mould responsible and disciple citizens” …criticism of the bill is believed to have stricken a chord with local critics who argue that the capacity of the local justice system to handle the expected influx of cases is questionable. …Commenting on the bill, a Malawian is quoted as saying: “How can this government criminalise the release of intestinal gases …. Everyone does that, even if it’s in public or it has an accompanying sound which is boring, making it criminal is a joke of democracy” Another said he “support(s) the bill and is welcome. Sometimes breaking wind in public or during meetings is a disturbance of the peace”.